Dr. Ronald Hunsinger, professor and chair of the Biological and Environmental Sciences department, was elected Second Vice President of the Alabama Academy of Sciences. 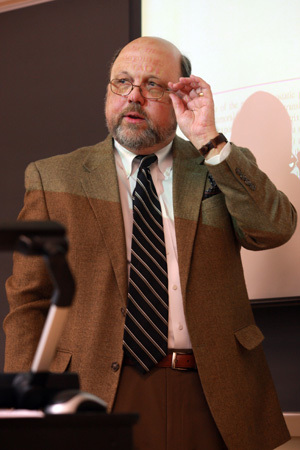 Recently, Dr. Hunsinger participated in a panel discussion called “Responding to the Gulf Oil Crisis.” The panel took place at an event sponsored by the Baptist Historical & Heritage Society. Historian Mark Wilson (Auburn University) and theologian Fisher Humphreys (retired, Samford University) joined Dr. Hunsinger on the panel.